Help pick a name for my blasphemous, anti-religious apocalyptic thriller! 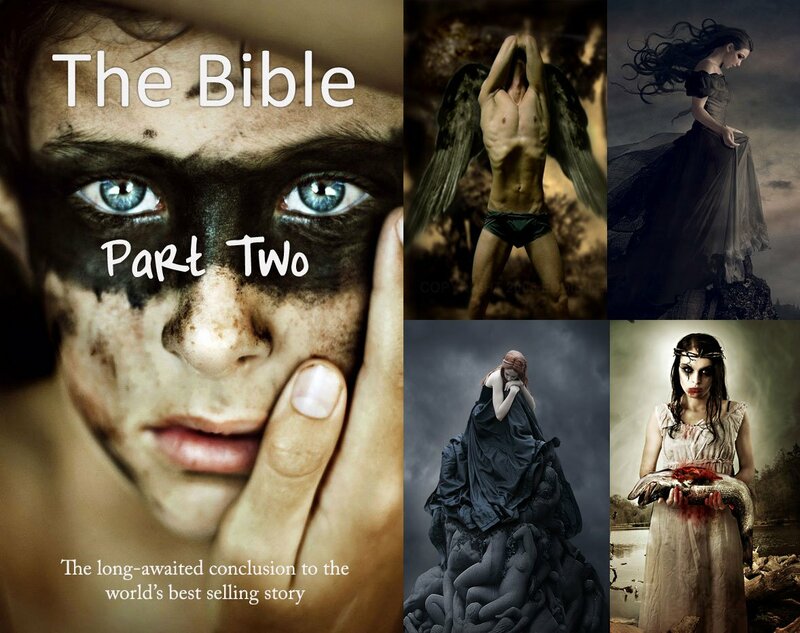 I'm working on an epic novel divided into a series - the working title is "The Bible, Part II". It's basically "Left Behind" but with the antichrist as the protagonist who fights back against God's invasions and finds a way to save humanity. However, while the content will eventually lead to a harsh criticism of faith (in the book, Christianity is a complex breeding system to produce meek and humble slaves for an alien race), I'd rather not show all my cards with such an outlandish title. Instead I'd like to find a name for the series and a name for the titles that is more ambiguous, but so many names have been taken. Aliens/fallen angels, a breed of superhuman hybrids, a human revolution against a colonizing alien power, mixed with religious history, corrupt church power, vampires (Jesus giving his blood for eternal life of followers, etc.)..... Book 1, 2 and 3 are basically "beginning, middle and end". Need some kickass names. If you supply it you'll get signed copies of every book of the series when they're out. I dunno, how about "Grounded", or "Down To Earth"? Or, "Through Rational Eyes". I'm just throwing titles out there.